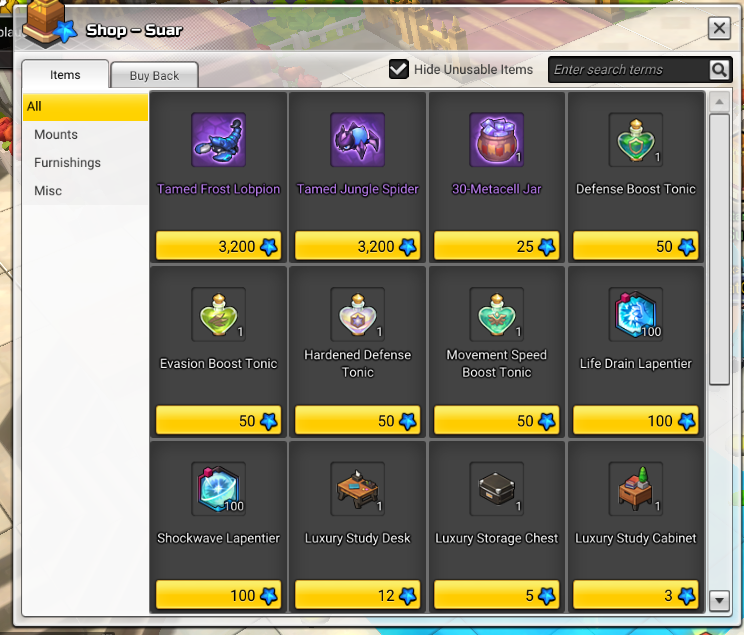 There are many different currencies in Maplestory2. 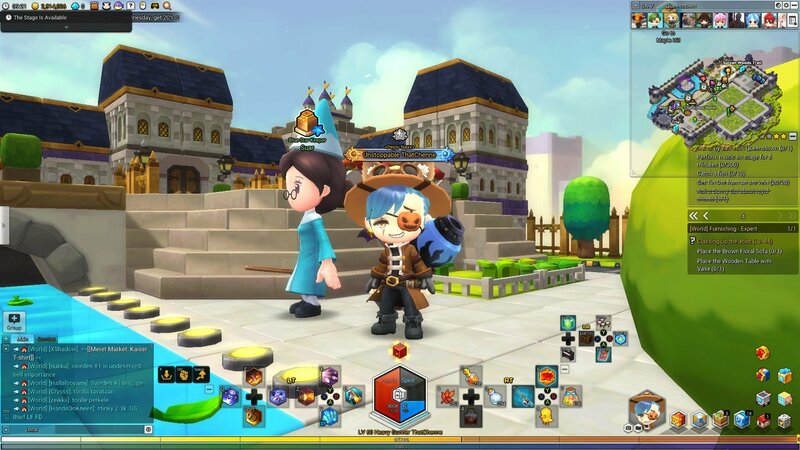 Each of which can be used to play certain mini-games or buy unique gear and items. If you’re a keen dungeon runner, then you’ll collect a large amount of blue and red stars over time. In this guide, we’ll remind you where to find them and show you where they can be spent. 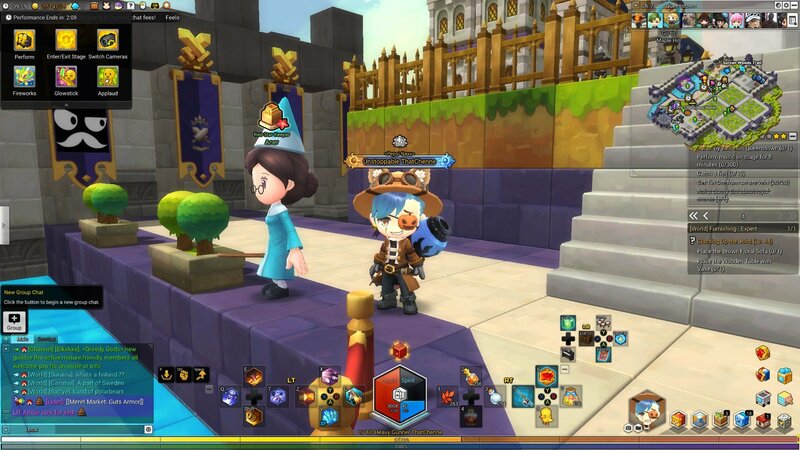 Don’t forget to check out our other guides if you’re struggling with any other features in Maplestory2. You can find them all here at Pwrdown! To acquire blue stars, you will have to run normal difficulty dungeons. These are quick to complete as groups are easy to find. Suar, the blue star vendor can be found in the top North section of Queenstown. She wears a blue outfit and has a blue star icon above her head. You can buy a selection of consumables, furnishings and mounts from this vendor. However, mounts cost a large number of blue stars, so you’ll have to run your max limit of dungeons each day. To acquire red stars, you will have to run hard difficulty dungeons. These are more challenging but offer a greater reward for completing them. Aner, the red star vendor can is located on the right-hand side of the stage in Queenstown. She also wears a blue outfit but has a red star symbol above her head. This vendor sells consumable and furnishings much like the other. However, the mounts are far more impressive and serve as a feat of strength for obtaining them. To buy them, you will need a large number of red stars. Therefore we recommend running only hard dungeons when your gear score is high enough. As the items from this vendor are far more impressive to show off.